Well, not really. 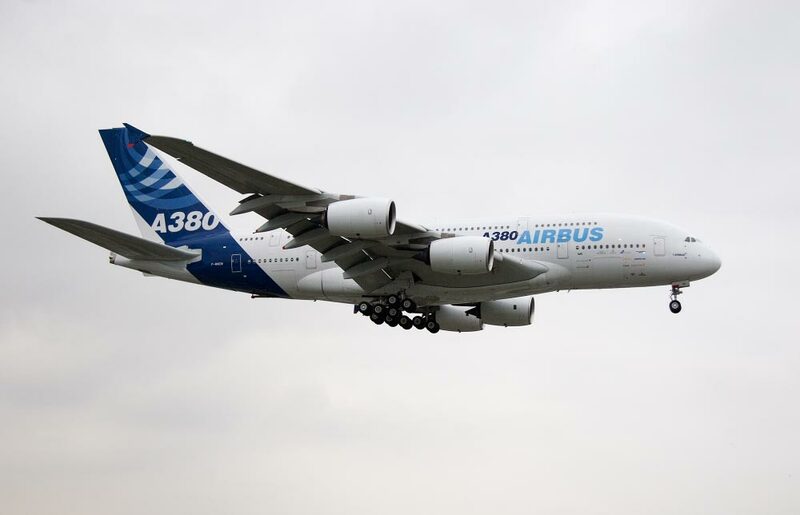 As it turns out, this airplane was the second A380 to land in the U.S. It was supposed to be a simultaneous arrival with another aircraft touching down at JFK, but the timing was a little off and this aircraft landed shortly after the one in New York. A minor annoyance, but one that undoubtedly doesn’t sit well with the folks at Los Angeles World Airports. In fact, a quick check of Wikipedia and other online sources indicates that they view it as a JFK-first landing. 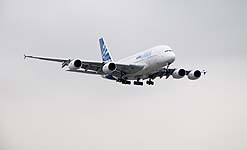 The original agreement between LAX and Airbus was that Los Angeles would be the first landing point for the A380. 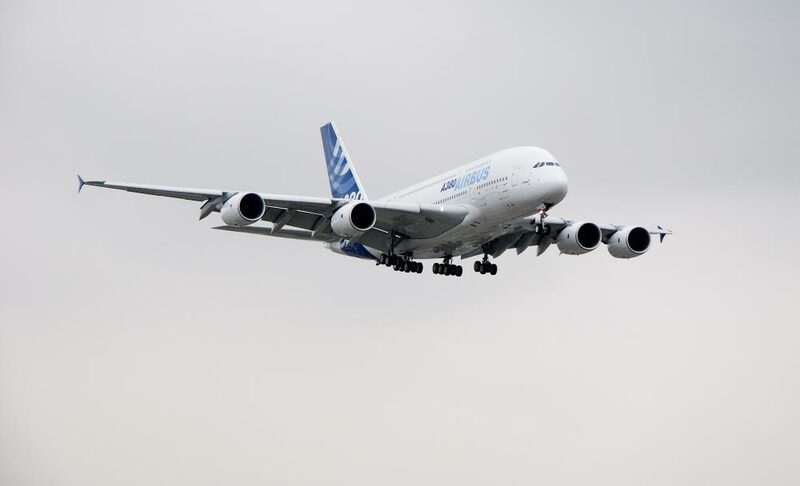 In exchange, the airport would spend about $120 million on improvements and build a new gate large enough to accommodate the A380 so Airbus could perform tests while it was in town. At some point — well after LAX had committed serious money to the new gate — Airbus reneged on the deal and decided to land in New York instead. It was another black eye for a company that really didn’t need one. I’m not sure yesterday’s ceremonial arrival has repaired those bad feelings. LAX is spending billions in upgrades, some of which are designed specifically for the A380. For example, the southern-most runway has been closed for an entire year while construction crews completely remove it and build a new one just 55 feet further south. The reason? 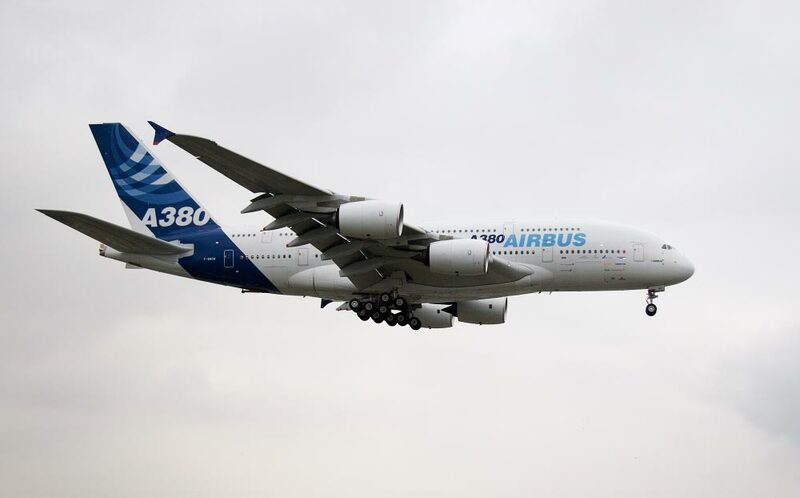 The A380’s wingspan is 50′ greater than the 747. It’s a big bet on an airplane that may not be as successful as the aforementioned Boeing product. But if Los Angeles wants to remain competitive, they’ve got to spend money to make money. 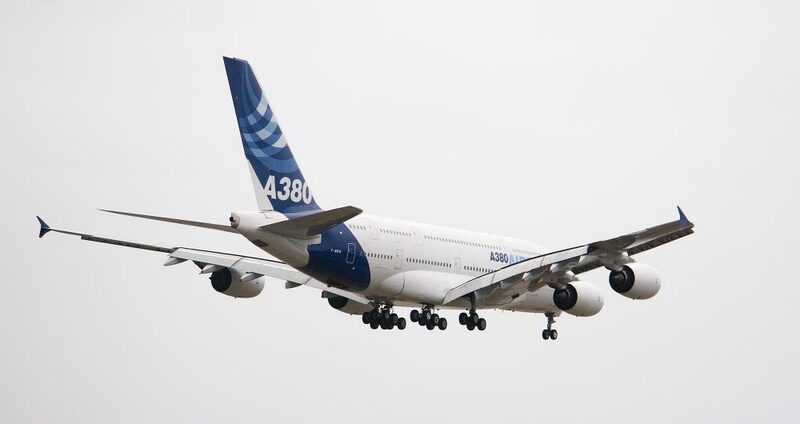 As it stands now, there are no orders for the freighter version of the A380, and only ~155 orders for the passenger version. 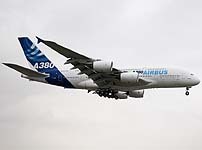 The A380 has been saddled with wiring problems, weight issues (how very American), and long delays. The airplane is certainly impressive; in single class configuration in can carry as many as 853 passengers. The thing is, I’m not aware of any airline interested in using that configuration. 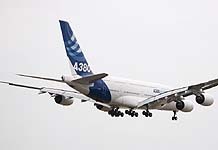 Launch customer Singapore Airlines settled on a three-class 485 seat configuration and Quantas a 500 seat arrangement. 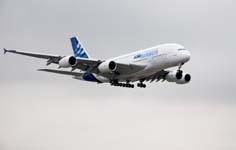 With those numbers, the advantage over the 747 is far lower than it initially appeared. They created it at a time when airlines are attempting to end the hub and spoke system somewhat. When going overseas you used to always have to go through places like LAX or JFK no matter where you lived in the country. Now places like Las Vegas and Salt Lake City have international flights using smaller, more efficient aircraft like the 767 or upcoming Dreamliner, the 787. Still, it’s an impressive airplane. It’s hard to get a sense of how large the airplane is from the photos because there’s nothing to compare it to. The LA Times has some pictures which give a sense of relative size. Very impressive. Even more so because of the multi-national conglomeration which overcame the inefficiencies of administrative overhead and diverse geography to build the thing in the first place. If Boeing or McDonnell Douglas had those hurdles to overcome, we’d still be flying piston airliners. I read your reference about C-46’s. I flew 75 missions in Korea as duty pilot and instructor pilot in C-46’s. It tested me every time and I never forgot the lessons it taught me; particularly landing on the Cho-Do beach in North Korea at low tide. It was crescent shaped with a hill at one end and a permanent cross wind of at least 20K. Another comment you made regarding flight training and flying in general made me remember something I learned early on; One learns more when one would really rather be somewhere else doing something else. Flying when it isn’t fun anymore is the most instructive teacher. I am still flying at 86. I grated Aviation Cadet training in the class of 50-C. I have taught a little as a civilian instructor and have concluded that we have lowered the bar too far. We are kicking out pilots who have never flown a tail dragger. The 150 is far too easy. It teaches people how to drive an airplane, not fly it.